Took 15 days off after the Boston Marathon and have started up again gradually and slowly. Nothing seems to be hurting. My plan going forward is to eat whatever I want for one month (until May 16th), and then start losing weight. 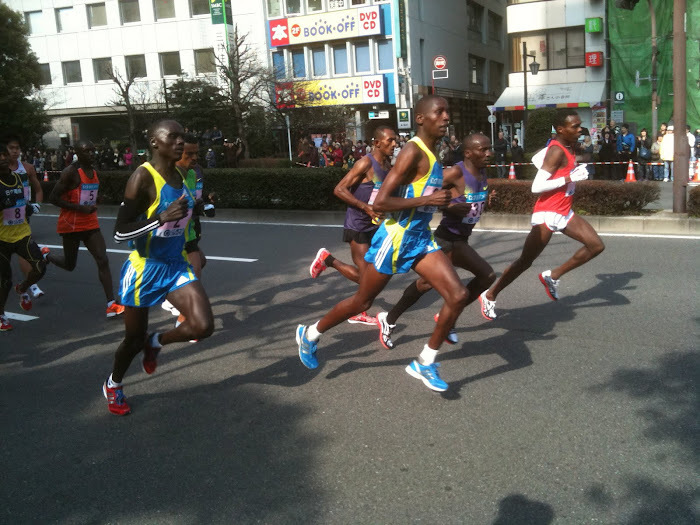 The objective is to get very thin—Kenyan thin—and hence very fast (meaning as fast as I can be). I will do this carefully, however, taking Tim Griffen's advice to count "calories in, calories out" and maintain adequate nutrition. I plan to race 5Ks, 10Ks and Halfs—no more marathons! 10.6km. Easy track workout: 4 1000s in about 4:45 and 2 600s. Slight soreness in upper hamstring, but basically ok. Rainy and cold - and it's May 1st! 7.2km. Track workout with ASIJ team. 8 x 400m with some of the girls. Started at 89, then 86 -84, last one in 78. Felt ok, just cruising. 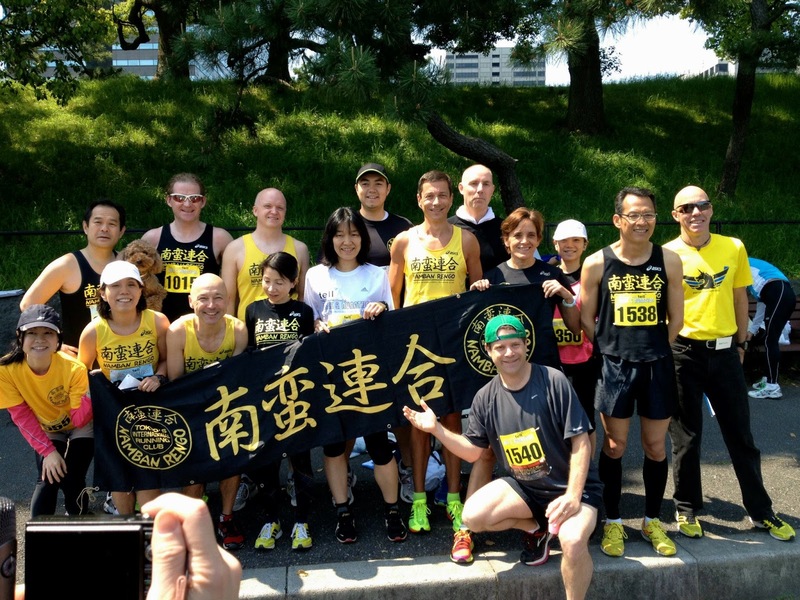 TELL (Tokyo English Life Line) charity 5k and 10k, of which I am one of the race directors. Beautiful weather, everyone had a great time. 18 Namban Rengo club members participated, as well as several of the HS track runners. We were surprised to have a famous actor show up and run the 10K: Sean Astin, best known for Rudy and as Sam, Frodo's best friend in Lord of the Rings. He happened to be in Tokyo and asked his Twitter followers (75,000) to find him a race and they pointed him to the TELL race. He's an extremely nice guy and he had a great time. Ran about 53 minutes - not bad for a Hobbit. 9.2km. Relaxed pace @5:19/k. Another beautiful day. Beautiful days here too at the tailend of Autumn. Have you thought about trying the 5:2 diet? Saw a fairly convincing doco about it a while back. Basically 5 days of normal eating then 2 days of almost fasting - 600 cals a day. I think Grellan is doing something similar and has lost a lot of weight. 78sec for 400m = cruising. That's fast! Bob, you should run some short races, definitely !